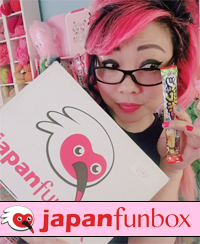 ← March Blog Sponsor Giveaway! 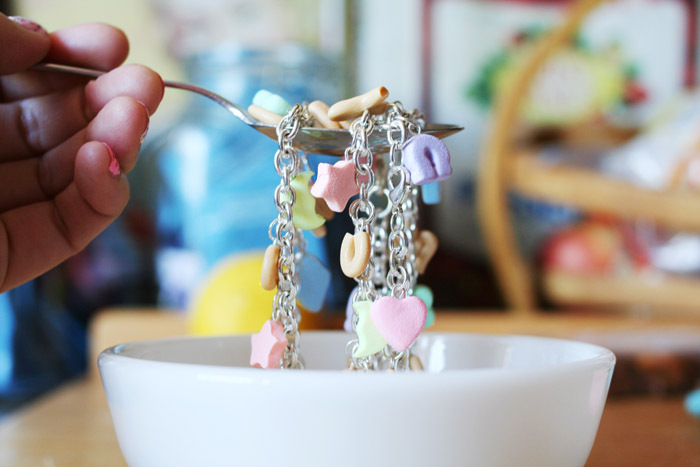 Marshmallow Charm Bracelets, a magical collab with Fatally Feminine Designs, now available at YummyYou.com! Happy St. Patrick’s Day! 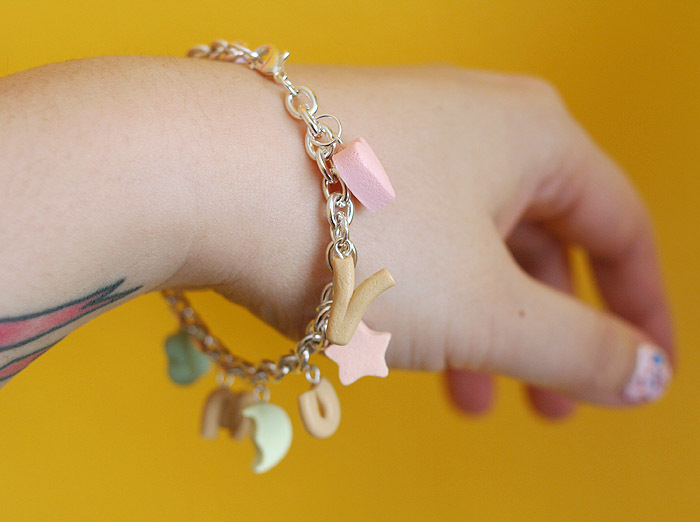 In the spirit of luck and magic, I’m so excited to announce our super sweet collaboration with handmade artist Fatally Feminine Designs, whom I met because she was one of my blog sponsors! 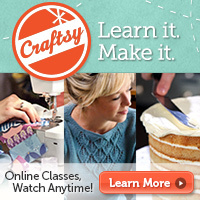 She hand makes and sells cute polymer clay jewelry, so you should definitely check out more of her work! 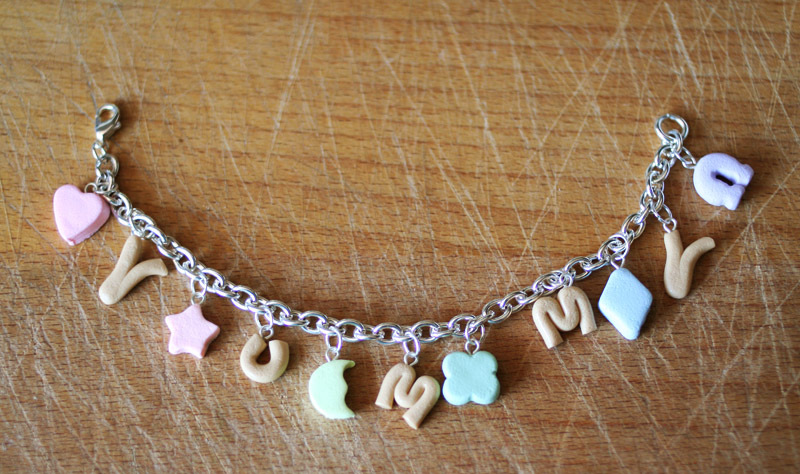 Each bracelet comes with a pink heart, orange star, yellow moon, green clover, blue diamond, purple horse shoe, and cereal bits that spell YUMMY and are all hand-sculpted! These are really limited edition, so scoop one while you can! 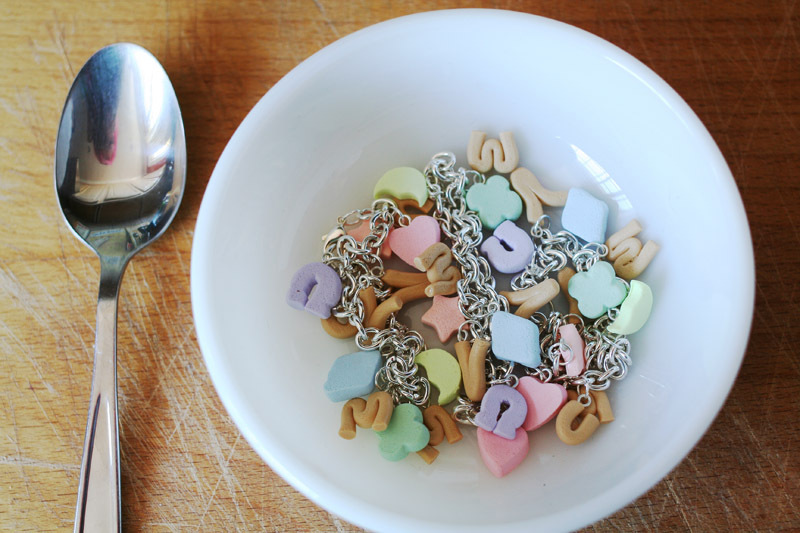 We are also working on more yummy jewelry surprises! 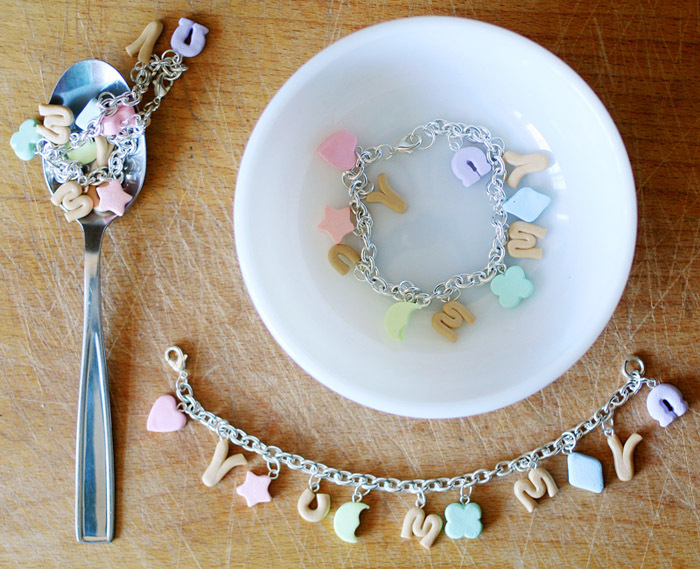 3 Responses to Marshmallow Charm Bracelets, a magical collab with Fatally Feminine Designs, now available at YummyYou.com!